From load shedding to Eskom's winter plan, Public Enterprises Minister Pravin Gordhan along with Eskom board chairman Jabu Mabuza and several other Eskom executives briefed the media on the status of the country's electricity supply. Wednesday's briefing followed an earlier briefing some two weeks ago when the country was in the midst of Stage 4 load shedding. At the time, the country's electricity supply was so critical that Eskom also implemented Stage 2 load shedding during the night. This was attributed to, in part, the recent cyclone Idai in Mozambique. Eskom's problems however are as a result of several factors, including ageing power plants, insufficient maintenance, allegations of state capture and crippling debt. Gordhan could also not say then when load shedding would be a thing of the past, saying that the technical review team needed some 10 - 14 days to assess the various power plants. The briefing started out with Gordhan again apologising for "where we find ourselves" in terms of the recent spate of load shedding. He said that while the work of the technical review team was not at an end as they would require about another week or two, following a quick briefing, Eskom now had a "better understanding of the challenges". Gordhan also highlighted the importance of consequences in terms of ensuring that those who had promised deliverables delivered on them. He went on to say that while they hoped that load shedding would not be implemented, if it did become necessary, it would only be implemented at Stage 1 - at least until the end of August. He also said that Eskom had since put together a winter plan. He said Eskom considered winter to have started from the beginning of May. Gordhan presented several scenarios that could come into play. Meanwhile Eskom chairman Jabu Mabuza spoke about coal stockpiles, the restructuring process, as well as the power utility's financial woes. He said that he was confident in terms of diesel supply and the quality of coal. In terms of restructuring, Mabuza said engagements with unions were ongoing. 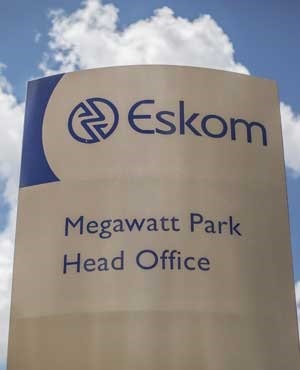 The cash-strapped utility was still, however, in need of money - particularly in terms of Eskom's extensive use of diesel, he said. "We are continuously looking at various alternative mechanisms of addressing our funding issues," he said, adding that they were engaging with government on the matter. He also addressed the coal plants Medupi and Kusile, saying that despite the fact that the two multi billion rand mega projects were badly designed, they would not pull the plug on completing construction.